Original article by Ed Masley was published by AZ Central on Dec. 23, 2017. And it’s only taken 50 years to see the light of day. 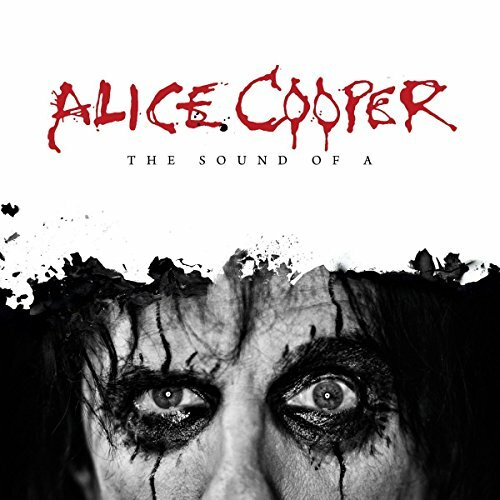 “The Sound of A,” it turns out, was among the first songs Cooper wrote in 1967 and was long forgotten until founding bassist Dennis Dunaway brought it to Cooper’s attention, suggesting he consider it for this year's Paranormal album. “Laughing at Me” and “Shoe Salesman” were both included on Alice Cooper's second album, Easy Action, which arrived in 1970 on the Frank Zappa label, Straight Records. When Dunaway played his recording of "The Sound of A," Cooper says “Bob Ezrin said, ‘I love that. That is so simple and powerful.’ I said, ‘Well, let’s record it and see what happens.’ It was the only song that we didn’t really arrange. At the end, I said, ‘Let’s just let it go. Let it float out. Let the guitar players and the keyboard and everything just keep it going and going.’ Because we never do that. And it ended up being one of the great tracks on the album, just because it had that eerie, dreamlike quality." The version of “The Sound of A” on Paranormal was recorded live to tape in a Nashville studio with Dunaway on bass, Larry Mullen Jr. of U2 on drums, Tommy Henricksen and Tommy Denander on guitars, and Ezrin, who produced the track, on Hammond B3 organ. Although he’d forgotten the song, Cooper says hearing it 50 years later triggered memories of what he was thinking when he wrote the lyrics. The song was written, Cooper says, around the time Pink Floyd was staying at the Alice Cooper house in Los Angeles. “I don’t know if it might’ve had something to do with a brownie,” he says, with a laugh. “But we wrote this song." They'd played a show with Pink Floyd at the Cheetah Club and hit it off. "We’d open for the British bands that came in," Cooper says. "And it was crazy. We saw their show and they had exactly the same lights that we did. We had a box made with colored lights that would flicker up because that’s all we could afford were flood lights in a box. And we got there and they had the exact same box. We'd never seen each other before." Deciding they were "kindred spirits," Cooper and his bandmates invited the British rockers to stay at their house for a couple days. This was during what Cooper refers to as “the Syd Barrett insanity,” recalling one morning he walked in on the psychedelic pioneer enjoying breakfast more than most. Cooper points at an imaginary box of cereal and starts to laugh. Alice Cooper guitarist Glen Buxton formed an instant bond with Barrett. Cooper imitates the spacey sounds guitars can make when plugged into the tape delay effect. When you heard a Barrett-era Pink Floyd record, Cooper says, you knew exactly who it was because no one else sounded like that. And one could say the same for Cooper’s early work. To Cooper’s ears, “Pretties for You” was “maybe our most original album.” In fact, he recalls, “It was so original that Frank Zappa goes, ‘I don’t get it.’"
And Zappa was kind of a weirdo. The “real” fans, Cooper says, will sometimes ask him why he never dips into those albums in the live show. How do we get on the radio? 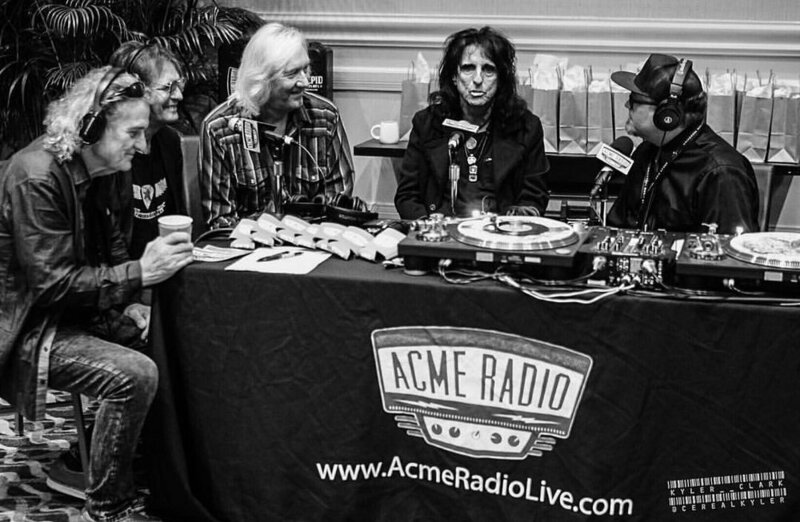 Original Alice Cooper band doing an interview for Acme Radio. Nashville, 2017. L to R, Michael Bruce, Dennis Dunaway, Neal Smith, and Alice Cooper. “Oh no,” Cooper says. “We were, at this point, tired of starving. And… we had already done it. We’d moved on. The guys in the band were better players. And we kind of knew that we had to deal with the Doors. We had to deal with Led Zeppelin. We had to deal with all these bands that were blues-based rock bands if we wanted to get on the radio. “I’m Eighteen,” he says, is a perfect example of what Ezrin brought to the proceedings. And so, they kept dumbing it down until they’d dumbed it down to their producer’s satisfaction. Of course, the lyrics helped. It’s a teenage anthem. Asked if it’s harder to get in the head space of “I’m Eighteen” with his 70th birthday coming up in February, Cooper laughs. “Oh no, Alice is 18,” he says “When the Who do ‘My Generation,’ there’s a 16-year-old kid who listens to that song and goes, ‘He’s talking about me.’ There are certain anthems that will work for every single generation. ‘Eighteen’ is one, ‘cause there’s a million kids turn 18 every year. ‘School’s Out.’ Everybody believes the last day of school is the greatest day of the year. ‘My Generation.’ Every kid relates to that."